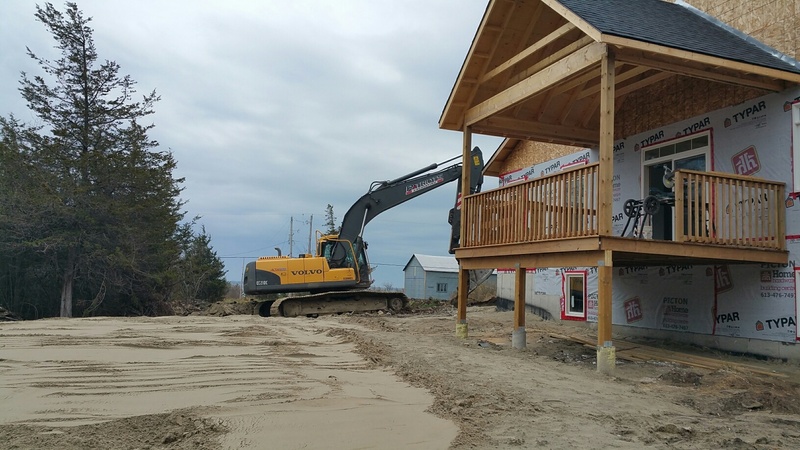 We are now just 3 weeks from the completion date on the contract for our house. People who are experienced with such things are surprised that the builder says that we will be able to move in on time. But he seems pretty confident that we are, or will be, on schedule. Things have seemed to go slowly the past 3 or 4 weeks (apart from the exceptional job done by the interior painters!) but now a number of things are coming together and they tell us that next week will be even busier. 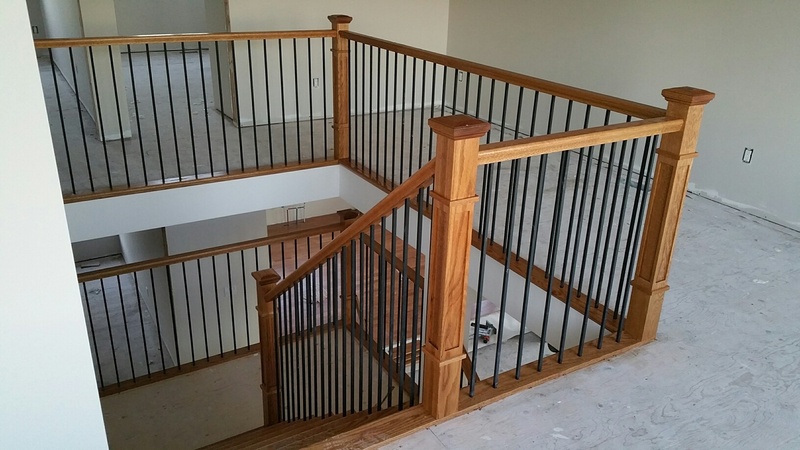 The stairs and stair rails were installed and stained. The floor is being laid on the main. The kitchen is on the left, the dining room on the right. We will do the upstairs ourselves after move-in. 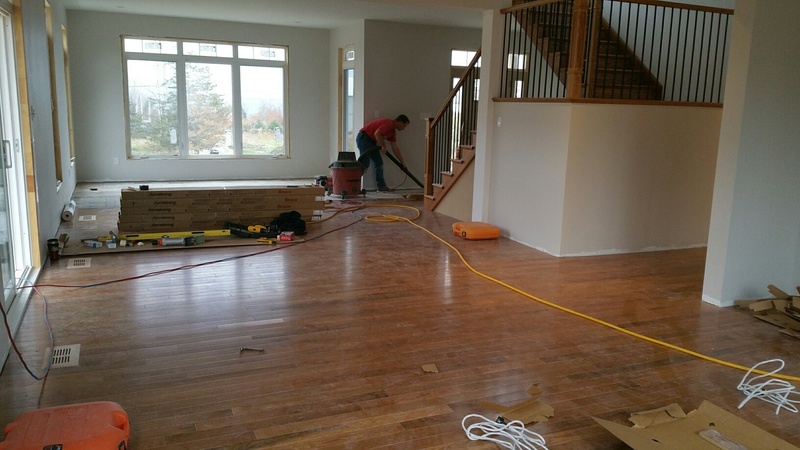 The hardwood floor has proven to be time-consuming for the builder’s crew to put down. We had thought of doing it ourselves to save on costs but, observing them, are glad we are doing ‘only’ the painting and upstairs flooring (we intend to choose something more simple to install for up there). 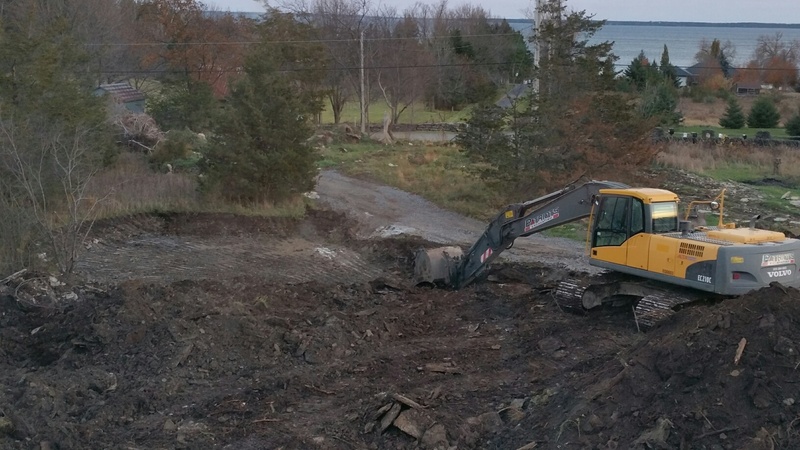 The septic field has now been covered and is awaiting top soil for a lawn. How very exciting…praying for you and the progress over the next three weeks! Looks good! Must be exciting to see it coming together and to think about the move! When does the exterior siding go on? Thank you, Jenny. Regarding the exterior siding, Jim, unfortunately, no one is quite sure when it will go on. 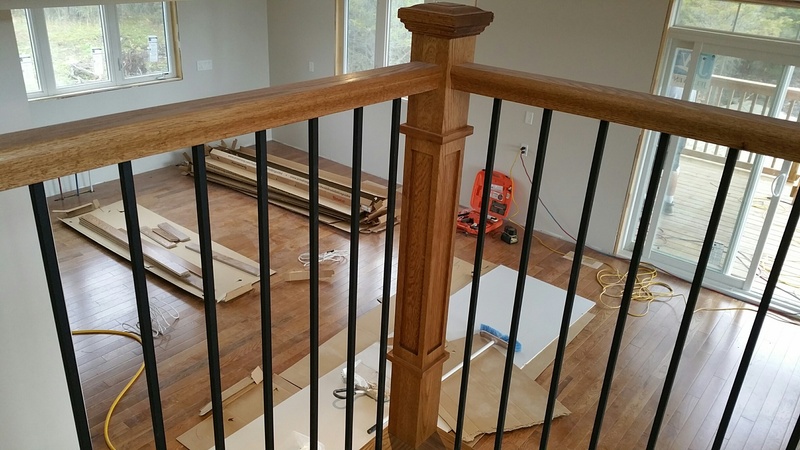 The installation crew is apparently behind on several jobs and they haven’t given word to our builder as to when they will come. Hopefully they will come when the weather is still decent.